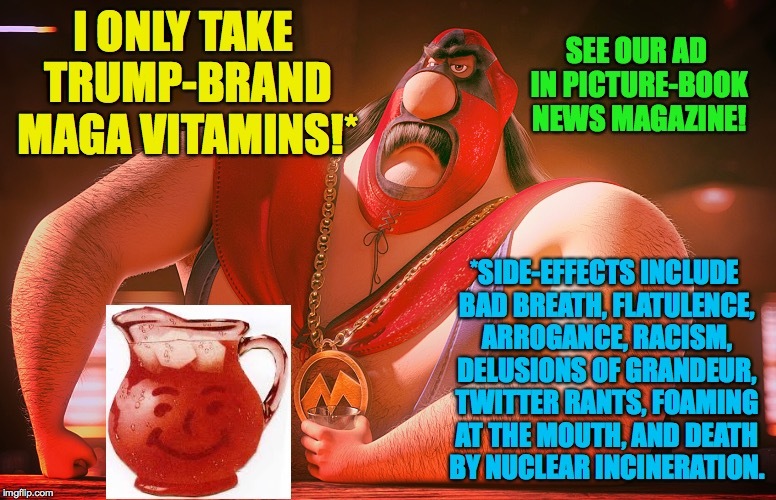 Everyone should remember to take their daily vitamin! 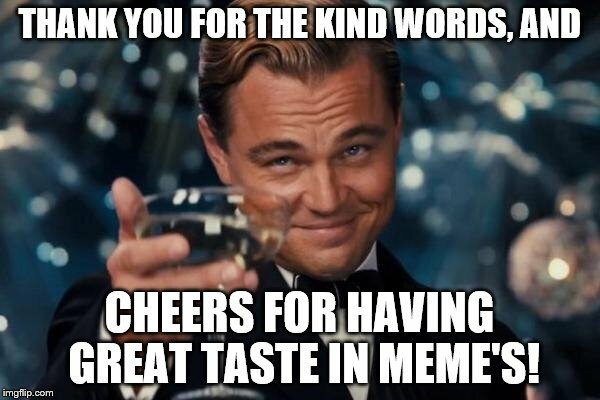 What a lot of work that meme represents! I'm going to post it on Facebook and Pinterest, with proper attribution, of course. I put this one up on my Pinterest "reality check" board as well. This ignorant BS has been grinding my teeth and torqueing my jaw since Wild Bill Clinton kept saying "Bush doesn't have an economic plan." 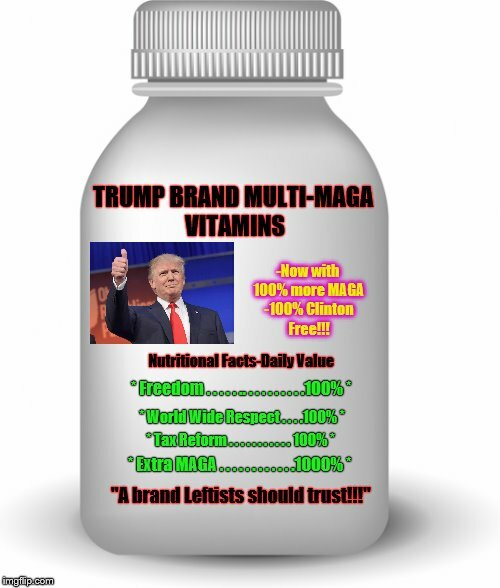 TRUMP BRAND MULTI-MAGA VITAMINS; -Now with 100% more MAGA -100% Clinton Free!!! Nutritional Facts-Daily Value; * Freedom . . . . . .. . . . . . . . . .100% *; * World Wide Respect . . . .100% *; * Tax Reform . 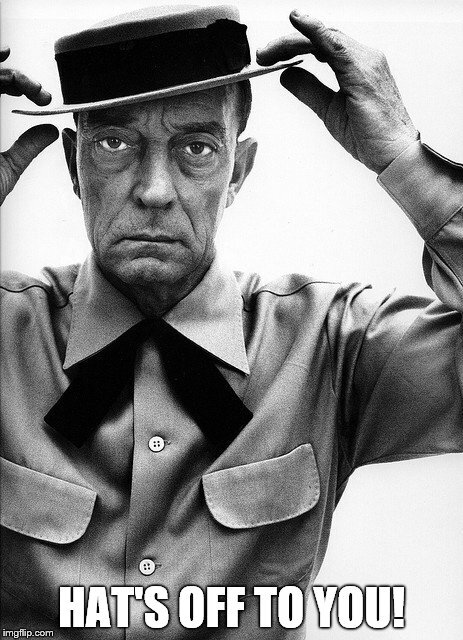 . . . . . . . . . . 100% *; * Extra MAGA . 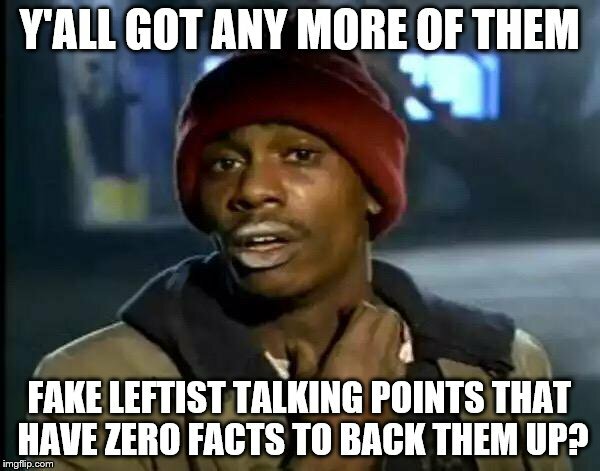 . . . . . . . . . . .1000% *; "A brand Leftists should trust!!!"